Ask Price – the price using of which trader can purchase the base currency. Base Currency – the first currency which is listed in any currency pair used for trading in the forex (FX) market. Bear Market – a market with pessimistic diagnoses and declining prices. Bull Market – a market with rising prices and more optimistic trends. Cross Rate – a price quote composed of any currency which is quoted against any other currency which can’t be related to USD. This quote is the combination of the individual rates for exchange 2 currencies against USD. Day Trading – intra-day trades based on opening and closing his trading positions during one trading day and to the end of this day a trader has no any position open. Fed – short for Federal Reserve which in its turn denotes the central banking system effecting significantly on the trends of the Forex market. Leverage – the loan a trader takes for the FX broker which allows trading only having a small capital. In such way one can increase his profits but the risks get higher as well. Margin – another term every trader should understand and it denotes the minimal amount of cash deposit a trader can put up for a certain transaction. Pip – the smallest price which can be found in the last number of the currency pair rate. Commonly it is the 4th digit located after the decimal point. Price Trend – a stable movement of the currency prices with a certain direction. Spotting trends can capitalize the potential. Spreads – the differences between the ask and the bid prices. Stop Loss – the trade order which closes an open trading position in automatic way for preventing losses if the FX market fluctuates against this chosen position. For every new forex beginner, besides learning forex basic knowledge, practice on demo account is very important. They can gain real trading experiences from this process. Most forex brokers offer a practice account or demo account these days. Try trading on a few different ones and see which platform you prefer. The modern day demo account is akin to what is referred to as “paper trading”. It is always wise to gain some familiarity with the investments you want to trade, and nowadays, with with the trading platforms available. All the platforms function differently so if you have chosen one, stick with it, you will only confuse yourself if you keep changing. If you are considering moving on to the real thing, choose a platform that offers good support. If you are in doubt you could always research the reviews on a company but typing the ‘name of company’ followed by ‘review’. It is very important to choose a demo account provided by forex broker that is very similar to the real account. When you practice on demo account a while, it will be easier for you to switch to trade on real account. PROFIFOREX is a good broker which provides good demo account for beginners. Demo account is exactly the same as real one and they provide good services. In other words, educate yourself as much as possible. Read everything you can get your hands on and practice with demo account. The more knowledge you have, the more confident you will become in making trade decisions. Education is the best investment you can make before leaping in at the deep end. 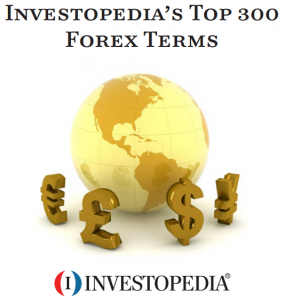 You might also want to check out forex forums like Forex Tips.